St James’ Church sits high on the side of a hill overlooking Brassington village, overlooking its narrow streets and fine old buildings. The view from the church porch is worth the climb, and once you go inside there is much to see. It is essentially a Norman church with a fine south arcade of three bays, south chancel aisle of two bays, a later north aisle, and a Norman tower. The south porch is 13th century as proved by its outer doorway. Like the church itself the font is of Norman origin (between 1066 to approx 1200 AD). It was originally built into the south wall, but was given a new base and moved to its current location when the church was restored and enlarged in Victorian times. The church was expanded and partially rebuilt in 1880. The north aisle with its marble columns is a product of this work, as is the wall behind the altar with its rose window. One of the features of the Chancel (the area containing the choir stalls and altar) is the Jacobean oak Bishops Chair carved with the arms of the Cavendish family, the painted Royal Coat of Arms. It is unusual for its large size and the fact that it was not over painted with the arms of the new monarch after the death of George III. In the Lady Chapel there is a painting of Jesus is believed to be the work of a local craftsman (who may also have painted the Coat of Arms in the Chancel). It was rediscovered in a pile of junk at the back of the church. Architecturally, the Lady Chapel is distinctive in that it is most unusual to find a chancel with an aisle. The arcading in the South Aisle here, together with the Tower, represent the main original elements of the building, dating back to Norman times. Look out for the characteristic round Norman arches, the massive stone columns and the simple but vigorous carving of the capitals above the columns. On one of the capitals, you will see that a shell is incorporated in the design. This is a symbol of St James, Patron Saint of this church. The windows above the arcade are probably sixteenth century, and suggest that the height of the roof was increased at that time. Looking upwards and into the church from the porch you can see two non-Christian decorative features. Above the door on the outside wall is a carving of a man’s head – possibly some sort of “Green Man” or fertility symbol. Inside the door is a carved corbel. Although indistinct the carving is of a “mooning” man (or devil?) and suggests that our medieval forbears were more broadminded than us about what is suitable decoration for a church. 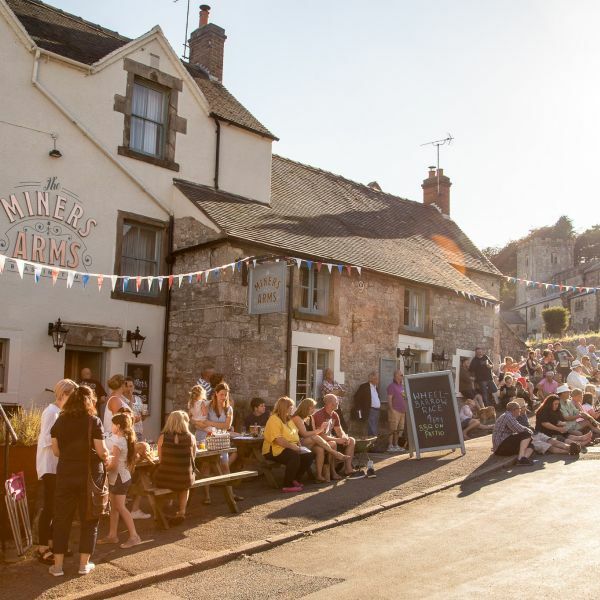 The church is part of the Wirksworth Team Ministry, which cares for all of the Church of England Parishes in Wirksworth and the surrounding villages. St James’ church is open daily during the summer months, and you are very welcome to join us for services, details of which are to be found on the Wirksworth Team Ministry website. 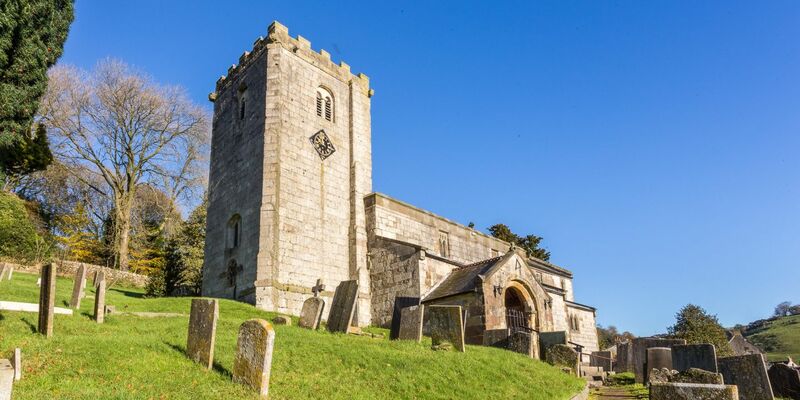 This website is updated each week with information about church life in Brassington. Additionally, there is a patronage scheme designed to enable those who wish to help maintain the fabric of their parish church to make an annual donation to its maintenance. Further details can be gained by ringing the Team Office on 01629 824707. If you wish to speak to the Rector of the Church, Canon David Truby, then his number is 01629 822858.